Traditional savings accounts pay very little interest. If you want to earn a more impactful return on your savings, online banks often offer higher rates. 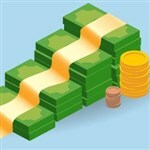 In this article, we will look at how you can use Discover's Online Savings Accounts and CDs to help grow your savings. Based in Greenwood, Delaware, Discover Bank is an online bank owned by Discover Financial, the company behind the Discover credit card. It offers traditional banking products like checking, savings and CD accounts, plus a variety of loans including student and home-equity. Customers can manage their finances through the bank's website or mobile app. They can also withdraw funds for free using the nationwide AllPoint ATM network. Additionally, Discover also operates one full-service branch in Delaware. Discover Bank has 24-7 customer support, including a dedicated line for fraud prevention. Discover offers 4 different deposit account types. They all work in different ways. Discover's Cashback Checking gives you cash back when you use your debit card. No monthly service fee and no minimum deposit. Discover's Online Savings has a high yield savings rate. You are limited to the number of transfers a month. No monthly service fee and no minimum deposit. Discover's Money Market gives you more flexibility such as ATM withdrawals and check writing. But it requires a $2,500 minimum deposit. Discover's CDs require you to deposit money for a set period of time. Withdrawing funds from a CD before the term has ended will incur a penalty. CDs have a minimum deposit of $2,500. Due to these requirements, some CDs earn a higher APY than savings accounts. Now that we've covered the basics, let's get into the specifics. Apply for your first Discover Online Savings Account by 5/6/19, online or by phone. Enter Offer Code NPBB419 when applying. Deposit into your account at least $15,000 by 5/20/19 to earn $150 bonus. Bonus will be credited to your account by 6/3/19. Apply for your first Discover Online Savings Account by 5/6/19, online or by phone. Enter offer code NPBB419 when applying. Deposit into your account at least $25,000 by 5/20/19. Bonus will be credited to the account by 6/3/19. Earn 1% cash back on up to $3,000 in debit card purchases each month, for a total of up to $30 cashback per month. Discover Cashback Checking has no minimum balance requirement, no monthly service fee, and free online bill pay. 2.10% APY. No monthly service fee and no minimum deposit. As with any savings account, you'll be limited to 6 withdrawals per month. This is a federally-imposed limitation. If you need to withdraw money from your Discover savings account, you have a few options: internal Discover transfers, external transfers to another bank, wire transfers, and mailed checks. Is Discover Safe? : Discover is FDIC insured. This means that if Discover defaults, the federal government guarantees the balance in your savings account, up to $250,000. For CDs, you must deposit a fixed amount of money for a fixed amount of time. There are a few key factors to consider when deciding on a CD: the term length, the minimum deposit, and the APY. Discover also offers some retirement account qualified CDs, which can be a good option to supplement your retirement savings. Term CDs: 0.35% to 3.10% APY. Terms of 3 months to 10 years. 12-month CD APY of 2.65%. 5-year CD APY of 3.00%. Minimum deposit of $2,500 to open. IRA CDs: Discover offers a retirement IRA CD option as well, if you qualify. Both Roth (post-tax) and Traditional (pre-tax) options are offered. Terms and APY of these products are similar to that of Discover's Term CDs. You can rollover money from another type of retirement account (like a 401k) or transfer an IRA to Discover. Earn 1% cashback on up to $3,000 in debit card purchases each month. No monthly service fee and no minimum deposit. Discover's checking account doesn't offer interest, but it does give cash back when you use its debit card. This is a unique perk not offered by most other checking accounts. 1.95% APY under $100,000; 2.00% APY $100,000 or more. No monthly service fee. $2,500 minimum deposit. Discover Money Market offers very competitive rates. The rate is higher than what many other online banks offer. This is a good alternative to the Savings account if you want more flexibility in how you use your money. The Money Market account allows you to write checks, pay bills, and make debit card purchases. However, federal regulation limits you to only 6 of these types of transactions per month. You can, however, make unlimited ATM withdrawals. Discover is an online bank, which means you can't just walk into a neighborhood branch to do business and ask questions. However, if you need cash, you can withdraw cash surcharge-free at any of the 60,000+ Allpoint® or MoneyPass® ATMs. In the US, Allpoint® ATMs can be found in popular stores like Target, Costco, Speedway, Safeway, and drugstores. Low minimum deposits: If you have just started saving or want to set aside a small balance, Discover can be a great choice. Their Online Savings have no minimum balance requirements at all. Their deposits for term CDs and IRA CDs are some of the lowest in the industry. High rates: Discover's Online Savings offers such a high APY that it outperforms some of their short-term CDs. This is great news for anyone looking to save, but especially for those who can't pay the high minimum deposits that some other banks require. And if you meet a higher minimum deposit, you can earn more on a CD, depending on term length. Minimal fees: Discover cuts out many fees that other banks profit from. For example, you will not be charged any account opening or maintenance fees. 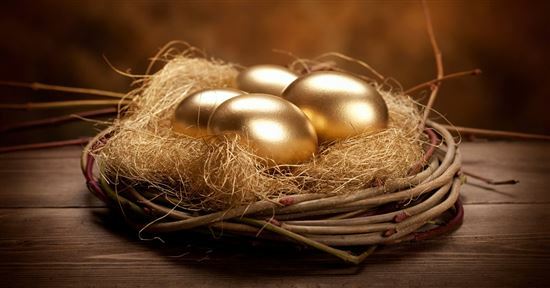 Retirement options: Discover offers IRA CDs, which can be utilized in a retirement planning strategy. No branch locations: In exchange for the high interest rate on your online savings account, you are required to do your Discover banking online or over the phone. No ATM card: Discover Savings does not provide an ATM card for easy withdrawals. This could be a good thing so you're not tempted to spend your money. But if you like that convenience, look into their Money Market account instead. Or there are some other online savings accounts that come with an ATM card. 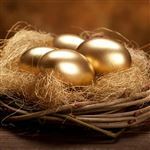 No Relationship Rewards: Some retail banks in the U.S. are now offering relationship bonuses to incentivize their customers to keep all of their business in one place. If you move your savings balance to Discover from your retail bank, you may miss out on some of these relationship bonuses. Contact your bank for more details. Should I open a CD or savings account? This is a really broad question and everyone has different investment goals. The decision comes down to how much you're looking to set aside, how much risk you are willing to take, and how much you'll need to access your savings. If you can commit to not touching your savings for at least 1 year and can meet the minimum deposit, you may be able to earn a higher interest rate with a CD versus a savings account. If you need liquidity, a savings account gives you more flexibility to withdraw your savings when needed. How can I deposit funds with Discover Bank? For savings accounts, there are a few ways to deposit funds: deposit checks with your mobile device, transfer from Discover checking, transfer from an external account, mail a check, or set up a direct deposit to your new account. For term CDs, you can transfer from Discover checking, transfer from an external account, transfer by phone, or mail a check. For IRA CDs, contact Discover for instructions on how to fund a Discover IRA account. What is the penalty for early withdrawals from Term CDs? Personal loans: Get a personal loan up to $35,000. There are no origination fees. You'll get a fixed monthly payment and there is no pre-payment penalty. Student loans: Cover up to 100% of college or graduate school costs. There are no application, origination, or late fees. Choose from fixed or variable rates. And plus, Discover offers 1% cash rewards for 3.0 and above GPA. See our full review. 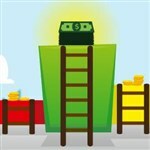 Home equity loans: Borrow from $35,000 up to $150,000, with terms from 10 - 30 years. There are no application or origination fees, and no cash required at closing. 2.10% APY. No monthly service fee and no minimum deposit. 2.20% APY. No monthly service fee and no minimum deposit. 0.35% to 3.10% APY. Terms of 3 months to 10 years. 12-month CD APY of 2.65%. 5-year CD APY of 3.00%. Minimum deposit of $2,500 to open. 0.75% to 3.00% APY. Terms of 3 months to 5 years. 12-month CD APY of 2.75%. No minimum deposit to open. Earn 1% cashback on up to $3,000 in debit card purchases each month. No monthly service fee and no minimum deposit. 0.10% APY under $15,000; 0.60% APY $15,000 or more. No monthly service fee and no minimum deposit. Ally will refund ATM fees for other banks up to $10 per statement cycle. 1.95% APY under $100,000; 2.00% APY $100,000 or more. No monthly service fee. $2,500 minimum deposit. 0.90% APY under $25,000; 1.00% APY $25,000 or more. No monthly service fee and no minimum deposit. Ally Bank: Pricing information from published website as of 4/19/2019. 2.10% APY. No monthly service fee and no minimum deposit. 1% APY. No monthly service fee and no minimum deposit. 0.35% to 3.10% APY. Terms of 3 months to 10 years. 12-month CD APY of 2.65%. 5-year CD APY of 3.00%. Minimum deposit of $2,500 to open. 0.60% to 3.10% APY. Terms of 6 months to 5 years. 12-month CD APY of 2.70%. No deposit to open. 1.95% APY under $100,000; 2.00% APY $100,000 or more. No monthly service fee. $2,500 minimum deposit. 0.85% APY up to $9,999.99; 2.00% APY $10,000 or more. No monthly service fee and no minimum deposit. If you're ready to start building your savings, then you should consider if Discover's Online Savings Accounts or CDs are right for you. Even if you only have $1 in savings, you can start earning interest in a high yield savings account. Or, if you have at least $2,500 set aside and aren't concerned about liquidity, you can earn an even greater return with a CD. 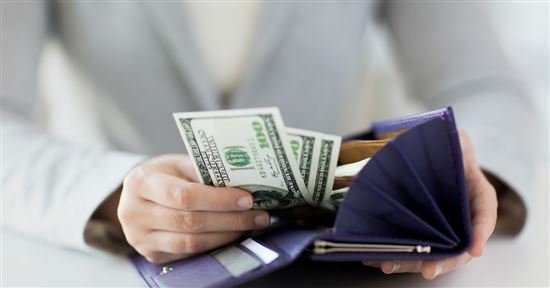 Discover's savings offerings might not be the right savings product for you, but if you're looking to earn interest above that of a standard savings account, opening a savings accounts or CD from Discover is an investment option worth considering. Disclaimer: This content was first published on February 8, 2018. This content may have been updated on September 9, 2018. Information including rates, fees, terms and benefits may vary, be out of date, or not applicable to you. Information is provided without warranty. Please check the bank's website for updated information. Credit cards are more convenient than carrying cash. But are they safe? 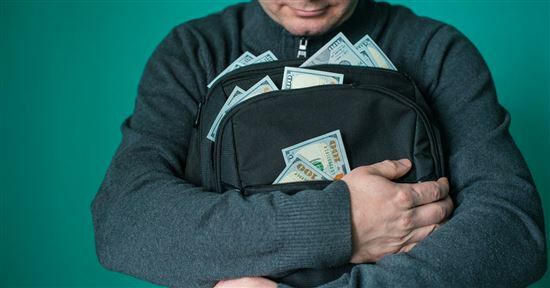 As identity theft increases, you need to protect yourself. Read on to learn how.